Each year the Pennsylvania Highway Information Association (PHIA) and the Pennsylvania Department of Transportation (PennDOT) team with various state organizations to recognize the best road safety or bridge improvement projects undertaken across the state. 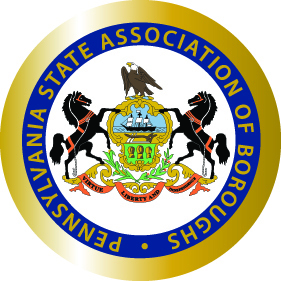 For the 37th straight year, the program is now open for Pennsylvania’s boroughs. Eligible projects are those in which most or all of the safety improvements were completed in 2018. The competition recognizes not only major, high-cost projects, but any improvements that have increased public safety. Go here for complete information including the entry brochure. The deadline is May 3, 2019. Transportation funding advocates often support their case with the assertion that a sub-par transportation system is bad for business and the economy. But which sectors of the economy suffer the most? According to the U.S. Chamber of Commerce, small business owners are more likely to feel the pain of higher maintenance costs, safety risks and the anxiety of trying to move people, products and materials through increasingly congested regions of the country. Conversely, small businesses can be the greatest beneficiaries of infrastructure investment, according to Ed Mortimer, the U.S. Chamber’s vice president of transportation infrastructure policy. Among the U.S. Chamber’s three million members, 96 percent have fewer than 100 employees, and 75 percent have fewer than 10. 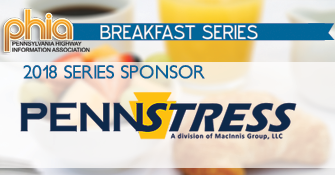 “This shows why the highway construction industry and transportation advocacy organizations such as the Keystone Transportation Funding Coalition receive such a positive reception when we reach out to local Chambers across the Commonwealth,” said PHIA Managing Director Jason Wagner. The U.S. Chamber’s position on transportation can be found here. The partnership produced a report that focused on transportation needs in the southeast region. The group identified a variety of funding mechanisms that policymakers might consider to replace a $450 million annual subsidy that public transportation agencies receive from the Turnpike. That subsidy drops to $50 million in 2022, but it has already been halted by a lawsuit filed by independent truckers and a motorist association. The subsidy arrangement, which began in 2007 after plans to toll I-80 failed, has caused the Turnpike’s debt to approach $12 billion. Turnpike tolls have increased annually for 11 years and will continue to increase for the next 30 years. To view the menu of funding ideas, go to www.PaMobilityPartnerships.com. 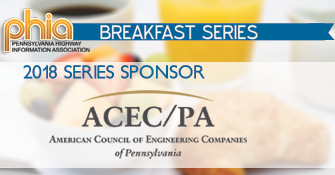 The chairpersons of the state House and Senate Transportation Committees, accompanied by members of the American Council of Engineering Companies of PA, became the latest entities to weigh in on the Commonwealth’s impending transportation funding crises last week. 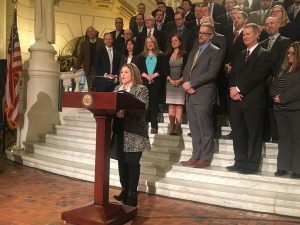 In a Capitol Rotunda news conference, Republican Sen. Kim Ward, who chairs the Senate committee, said it is imperative that the state have a plan ready when the annual $450 million transfer from the Turnpike to PennDOT falls to only $50 million in three years. She said she has convened a legislative working group to evaluate options. Of more immediate concern is that a lawsuit by independent truckers is already holding up those payments. If the truckers prevail, the payments will stop immediately. Then, of course, there is the issue of diverting revenue from the constitutionally protected Motor License Fund. The fuel tax and license and registration fees that go into that fund are supposed to be restricted for highway use, but in recent years have funded nearly three-quarters of State Police operations. Meanwhile, municipalities continue to abandon their local police forces and are relying on State Police instead. The municipalities save money, but such shifting puts a greater burden on the State Police budget. News conference participants noted that failing to address these issues will have a negative effect on bridge and highway maintenance and construction, public transportation services and all other modes of transportation as well. Most readers of this publication and George Wolff’s Keystone Transportation Funding Coalition newsletter are aware of the transportation funding issues facing the Commonwealth. Those issues include the lack of progress in achieving a federal highway funding solution, a lawsuit challenging the appropriateness of the Turnpike Commission’s subsidies to public transportation, the diversion of revenue from the Motor License Fund, and the declining revenue generated from fuel taxes and license and registration fees. A recent report from the state’s Transportation Advisory Committee (TAC) on transportation funding risks corroborates the challenges facing political leaders and policymakers, beginning as early as Pennsylvania’s new fiscal year on July 1. The Turnpike has been unable to make the last three quarterly installments on the $450 million annual payment required by Act 44 of 2007. The matter is pending in federal court, and the uncertainty prevents the turnpike from securing the required bonds. While $400 million of that annual payment will expire at the end of 2022, the lawsuit accelerates the date of reckoning. Couple that with the threat of repealing a measure that would allocate proceeds of vehicle sales taxes to public transportation, along with the other issues identified above, and the state could be facing a worst-case scenario that would remove $18.5 billion in transportation funding from the fiscal years of 2021-22 through 2029-30, according to the TAC study. To view a PowerPoint presentation on the TAC report’s findings, click here.